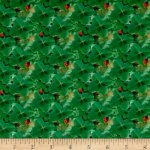 KITS > Shamrock & Ladybug Beautifully Easy Table Runner Kit 8 1/2" by 24 1/2"
Shamrock & Ladybug Beautifully Easy Table Runner Kit 8 1/2" by 24 1/2"
We suggest 1/2 yard of Stof Digital 87045047 Shamrocks & Ladybugs for backing. This Table Runner measures 8 1/2" by 24 1/2" and includes binding. The pattern has 4 different size options.